Al Quoz was first established 1992 as a single block of stables surrounded by desert sands on the outskirts of Dubai. 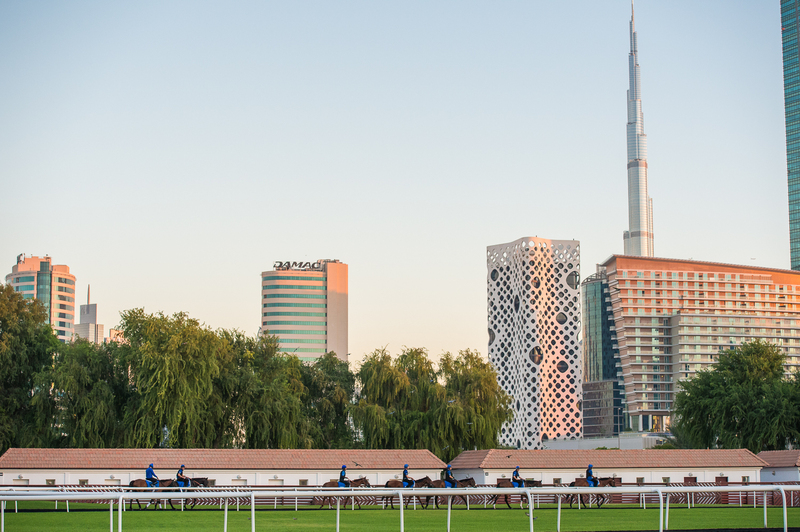 Today, it is in the heart of the growing city where Godolphin horses exercise against the dramatic backdrop of Dubai’s skyline in the shadow of the world’s tallest building, the Burj Khalifa. Al Quoz is the Dubai home for trainer Saeed bin Suroor’s horses. It also serves as a base for those racing at nearby Meydan, home to the world’s richest race meeting – the Dubai World Cup. The yard’s state-of-the-art facilities include an equine swimming pool, a seawalker and spa, and a nine-furlong, all-weather training track.